I recently came across this article from 1998 and was struck by its continuing relevance. It explains that clinical decision-making is not often supported by the best evidence available. We know that GP patients with all of their complexities are often not included in randomised controlled trials. Our clinical decisions take into account much more about a person’s total circumstance than can ever be articulated clearly through that kind of research. The article bemoaning the lack of appropriate evidence seems even more relevant given the latest information with regard to meta-analyses and positive publication bias. The Reproducibility project tried to replicate the findings of 100 major psychological studies once it was recognized that positive publication bias may have inappropriately led to the acceptance of many treatments as evidence-based. Less than half of the trial results could be reproduced. This is not to say the results were wrong – but it does highlight the risk of only publishing positive findings. A similar path has been taken in Medicine, with efforts to ensure all data from clinical trials is published, regardless of the results. This follows on from groundbreaking research led by Professor Jon Juredini highlighting the misrepresentation of data in determining the efficacy of SSRIs for treatment of adolescent depression. It is often argued that we are not asking the right questions in the research that is undertaken. For example, we continue to have a disease focus in research – finding a miracle cure for a disease is far more appealing to funders of research than investing into support for high quality primary care. When the GP Co-payment was initially announced in the 2014 Federal budget, it was going to fund the Medical Research Future Fund, to the tune of $20 billion. Was this fund going to be about general practice, service delivery and effective care models? No – it was going to be about diseases. This stance appears to have softened somewhat, but really – take away money from general practice to invest in research on diseases? I believe that one of the issues we have in general practice is the complexity and scope of the issues and presentations we deal with. It is just not possible for non-clinicians to understand what it is we do every day. One may also argue the same is even true for our specialist colleagues. Perhaps this shouldn’t come as a surprise, but it means that if we want research that will be relevant for our patients, we have to do it ourselves. 25 Sep Are recalls setting you up for exam failure? Doctors preparing for their AMC clinical exams appear to be conducting an endless search for recalls. Given an AMC pass rate of only 31.1% (Department of Health, 2016) the effectiveness of recalls may be called in to question. It’s not hard to draw a link between the two: is the exclusive use of recalls preparing you for failure? The allure of recalls is understandable. By looking to past exam cases, you can (in theory at least) learn how to approach a station, learn what you are meant to say and what you are meant to do. Simple. So, why isn’t it working? The problem is that you are only learning to remember scenarios. You are not learning how to treat the patient in front of you. Why does that matter? Because the objective of the exam is not to test your memory. If the exam was to test your ability to remember and recall cases, you would see wonderful, ever-climbing pass rates. But the exam asks for you to think for yourself. To solve the problem presented in front of you. To analyse the situation and prepare a safe, patient-centred consultation in the Australian context. In short, you are being asked to problem-solve. Recalls are certainly not useless. Their strength lies in their ability to generate discussion and thinking, for example in a study group. For this purpose, they are extremely worthwhile. It all depends on how you use them. Recalls require you to remember cases. The exam requires you to solve problems. You need to learn how to analyse, question, critique and evaluate. You don’t need to remember 100 different cases, you only need to learn one systematic approach that you can apply to all of your consultations. It is by learning this approach that you will be able to demonstrate your problem-solving skills. You need to prove that you can think for yourself, see the patient in front of you, consider the needs and tasks at hand, prepare a plan, and implement it. So, why not learn how to apply a systematic consulting approach? You should be sure to learn an approach that is safe, patient-centred, to Australian standards, and which allows you to show an examiner that you can think for yourself. AOGP has been working with IMGs for close to 15 years, and has assisted hundreds of doctors across Australia to prepare for their Fellowship and AMC exams. Our approach differs significantly to others. We don’t use recalls – you can find them for yourself. As a professional education organisation, AOGP teaches safe, patient-centred consultation systems and approaches. We train you to think for yourself, problem solve, and consult effectively so that you can treat the patient in front of you successfully, no matter what case you are presented with. We believe that if you prepare well, you will pass. It is time to reflect on the future of health care. A new federal health minister notwithstanding, there have already been massive shifts in key areas of service delivery, and we can expect more to come. There are three areas that I believe will impact the way general practice functions in the future, which we must understand if we are to successfully ride the coming wave of change. 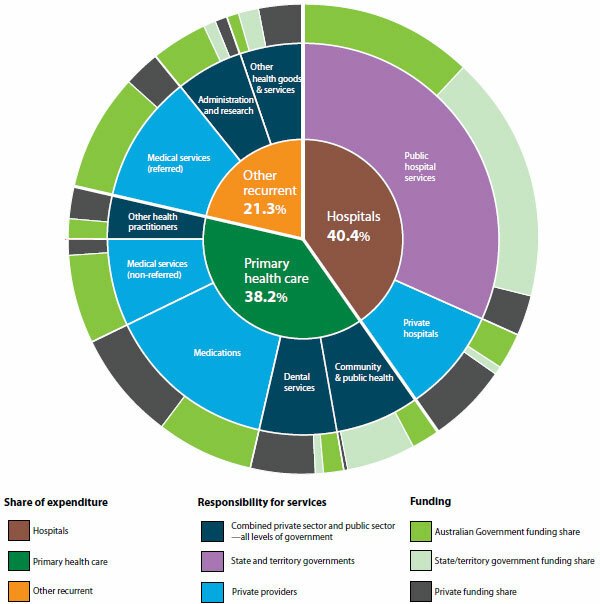 No matter what angle you look at it from, the health system is complex. The interplay between departments, jurisdictions, and funding arrangements means it is extremely difficult to effect meaningful significant change. Throw in the multitude of social determinants, with their own impacts on health outcomes, and the picture takes on a distinctly Byzantine character. 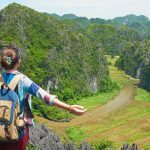 As GPs, no matter how much we may wish to operate independently of systems, our realities are undeniably bound up in them, and changes to one part of a system frequently have unforeseen consequences. Nowhere is this more clearly seen than in the case of changes to Medicare item numbers, which led to not just an increase in after hours billing, but entirely new corporatised medicine business models adopted in order to maximise billings. What does this mean for the future? The first phase of Health Care Homes has been commenced in 10 primary health networks across Australia. This model will see payments to practices shift from a fee-for-service model towards capitation and outcomes-based funding. Whilst this may sound good in theory, there is much discussion to be had about levels of funding and measuring outcomes before there is any chance of broad acceptance within the medical profession. If we accept that there are systemic drivers within a fee-for-service system to provide more services to patients, then the reverse situation should apply under capitation. This means that the system incentivises the doctor to NOT see the patient. Studies looking at the behaviour of physicians under different funding models confirm this broadly, but lack the quality and Australian data required for certainty. Evidence-based medicine has not always been the norm, having emerged from a slow paradigm shift in the decision making tools and attitudes of medical professionals. From the time of Hippocrates to about 50 years ago it can be argued that decisions about medical care were in fact “eminence-based”. Physicians imparting their wisdom from experience and anecdote were the norm, held in high esteem and rarely questioned. The emergence of the randomized controlled trial was a huge leap forward, but access to information remained a limiting factor in effective decision making until the coming of the information age, and the internet. This increased access to information has its own set of risks and rewards, which are evident to anyone who works in health care. The primary enabler of increasing patients’ rights and autonomy has been access to information that was once completely in the ownership of the doctor. This has allowed concepts such as team based care; patient centred health care and shared agendas to flourish. Health care is increasingly being delivered in a partnership arrangement rather than from a pedestal. This enormous shift in the balance of power in the patient-doctor relationship is now the largely accepted n within the profession and the community. Technology has revolutionised our lives in the space of a generation, and medicine is following suit. Advances in the understanding of genetics have allowed the development of highly individualized risk assessments and treatment plans. Nanotechnology and 3D printing bring the promise of distribution of health solutions to practices and consumers. Mobile technology and wearables can now be used to monitor a whole range of health data, for storage on devices or uploading and sharing with health care providers. The emergence of patient controlled electronic health records and telemedicine provide additional tools to support the shift in control and responsibility for clinical data to the patient. Through new technologies such as wearable devices, patients are having responsibility for clinical data shifted their way. What does all of this mean for the future of general practice? We have a health care system that is increasingly incentivised to keep patients at home. We have had a paradigm shift in the dynamics of the relationship between doctors and patients, with the patient more likely to take the lead role in decision-making. 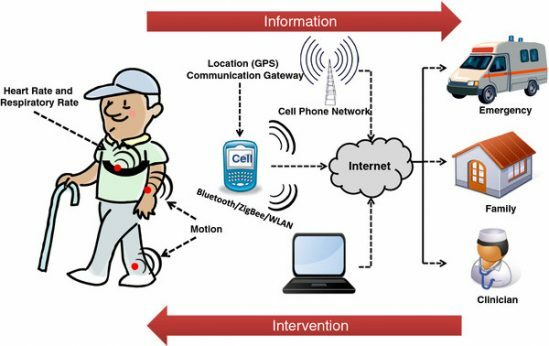 We now have the technologies that empower the patient to collect and use data with remote input from the clinician. The days of the doctor and the doctor’s office being the central point in patient care are coming to a close. Will we embrace the change or rail against it? Whatever we think, change is coming; there is nothing more certain. Recent debate on Medicare rebates for patients attending general practice causes me to think more deeply about the systemic drivers of performance and practice. How much of what we do in general practice is driven by community need, professional judgement, or funding mechanisms? Inevitably these all play a part in the type of care we choose to, and are able to deliver. Medicare is obviously part of the system that can drive behaviour and care. The corporatisation of general practice, with large numbers of short consults, the emergence of multiple after hours service providers, and the increase in care planning claims all stand as testament to this. Nurses have been increasing in number in general practice, initially with the support of Medicare for specific item numbers and associated tasks. With the removal of the specific item numbers in favour of the Practice Nurse Incentive Payment, practices will be tempted to use nursing time to generate further income, probably through care planning and upload of My Health Record data. Will this lead to the best possible health outcomes? GPs in Australia value their independence, and are generally resistant to submitting to a salaried system such as the NHS. Where does that independence sit, in terms of future health planning and care from the government perspective? What structure will encourage clinical behavior that delivers the best outcomes from general practice as part of a linked up and coordinated health system? It seems clear that many politicians and bureaucrats do not understand general practice. This is perhaps not surprising given the complex nature and massive scope of the work we undertake on a daily basis. We also understand that we can’t fix everything, perhaps the best we can do is to carry on regardless? This no longer seems to be a solution, and I believe more than ever that general practice must lead the conversation on systems required for a successful future health system. To do this effectively we need to continue to educate the community and decision makers on the potential of high quality general practice. This requires transparency and collaboration on the part of general practice and general practitioners. This is a challenge for many, who have had their trust and respect for the system eroded over many years, but I believe this is an area that an organisation like AOGP can assist. Our experience and understanding of general practice along, with our independence are the main enablers of this, along with our established networks and relationships. The Benchmarking available through the AOGP Quality Practice Network is an example of this strategy in action. Check it out now, and see what we can do for you. 16 Aug Revalidation discussion paper – What does it mean for you? Today the Medical Board of Australia released “Options for Revalidation in Australia – Discussion Paper”. This is in response to a broader conversation about ensuring a safe and competent medical workforce to serve our community. 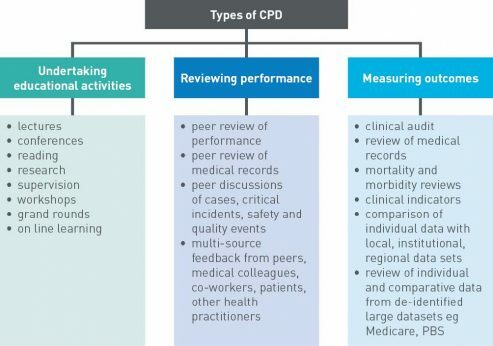 The paper presents a range of options, which may be considered to enhance early identification of professional learning needs for all doctors, including GPs. There will undoubtedly be concern amongst GPs about the possibility of increased regulation of professional registration, and possible punitive mechanisms implemented as a result. There is a strong suggestion that it would be of benefit to strengthen existing CPD rather than invent something totally new. The table below is reproduced from the interim report and outlines a recommended framework for CPD. It does not take much of a logical leap to see that AOGP’s Quality Practice Network could be very useful in providing GPs with the tools to address the ‘Reviewing performance’ and ‘Measuring outcomes’ requirements. Networking and benchmarking – progressive thinking to ensure minimal disruption and high quality care – it all comes with being a member of AOGP’s Quality Practice Network. Written and online submissions can be made up until 30 November 2016.
an increasing distribution of risk from government/corporate bodies to frontline clinicians. an increase in expectations of quality and transparency in health care from consumers. an increase in competition amongst general practices with a variety of business models. The challenge facing general practices that are committed to sustainable delivery of high quality care to the community – is how to take advantage of this fractious milieu. The AOGP Quality Practice Network has contributed the first round of benchmarking data, which we are collating for our initial report. This will demonstrate areas of potential strength or improvement in areas relating to efficiency, sustainability and quality service delivery for member practices. This is just one of the benefits of AOGP membership. As the network grows the benefits will multiply for all concerned. Quality practice matters. It is worth achieving and celebrating.